he Parker "41" came in bright colours of pink and light turquoise, and was intended to win the attraction of the the ladies. 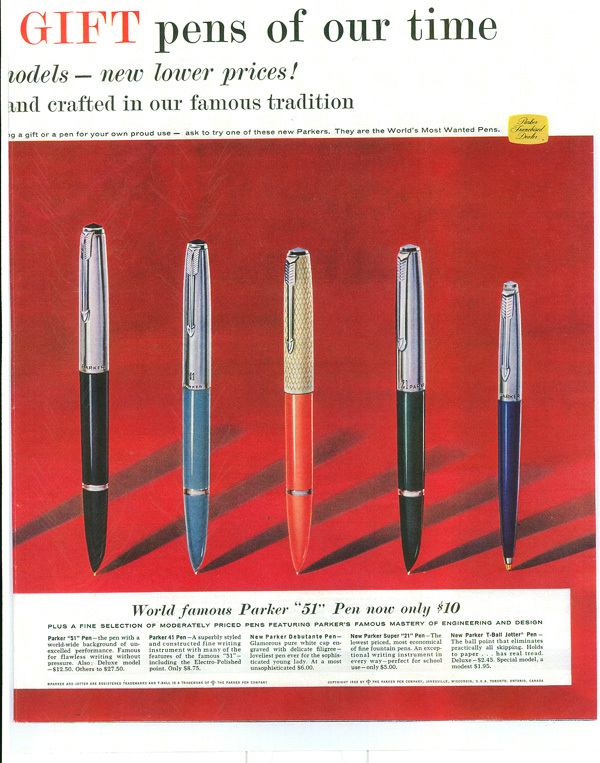 There had been complaints regarding the conservative colours of the "51'", but since the Parker "51" was so terrifically hyped, it turned out that few chose the Parker "41" anyway, in spite of the colouring and the lower pricing. 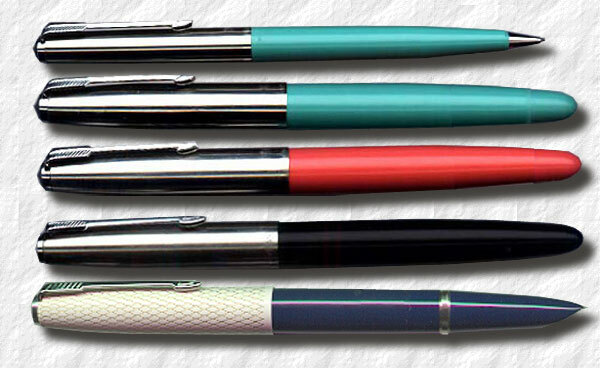 The idea of more colorful pens was however later adopted in the Parker "21" and Parker "45" lines. 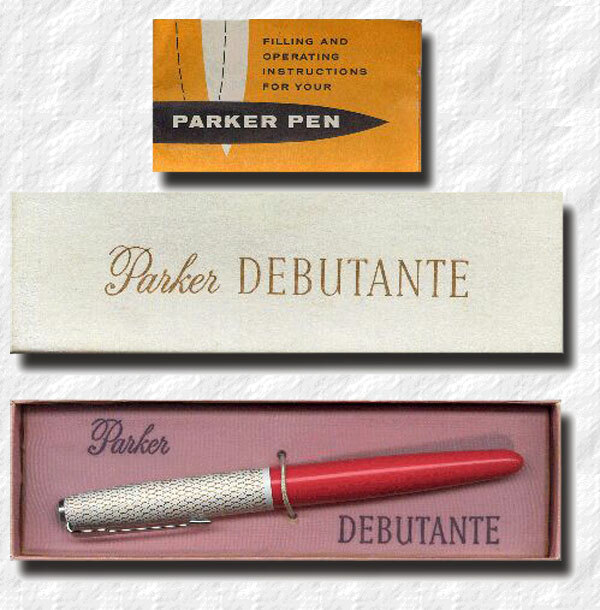 The Parker 41 was in a way replaced by the 21 Super, in 1956, but a version survived as the Debutante, introduced in 1957, with a Parker "45" style clip. t seemed that women felt more comfortable with the smaller version of the Parker "51" – the Demi, also aimed at the female population. One reason for this was that The Parker "41" was made out of a more brittle plastic and could often not withstand the hard life inside womens purses, together with keys, compacts, coins and steel hair brushes. So, within a year, in 1958, also the Debutante Parker "41" was discontinued. The Parker "41" is very similar to the later style Parker "21". The design of the clip, the clip of the Parker "41" was of the Parker "51" style. Note the Parker "45"-style clip. Aqua hen the Debutante was discontinued in 1958 the white enamel cap (with a gold pattern usually referred to as the "fishscale") was instead offered on the Parker "21" range. Especially the fishscaled Debutantes are very sought for by collectors, but also the brightly coloured Parker "41" are getting more and more popular, fetching high prices on auction sites.